Dream Theater over Holland, one of the first countries outside of the USA that embraced the band from a very early stage onwards. The band acknowledged this special relationship during the show. While the band has performed in Rotterdam Ahoy (Progressive Nation Tour in 2009) which is a far bigger venue than the Heineken Music Hall, it seems Dream Theater isn’t going to become any bigger or more popular than they are right now. The hall must have been sold out or nearly sold out because there really were a lot of fans! If you could call The New Keepers Of The Water Towers a support act, they weren’t opening for Dream Theater but they played after the Dream Theater show: a so called ‘aftershow’. Nice retro-prog with some psychedelic elements. 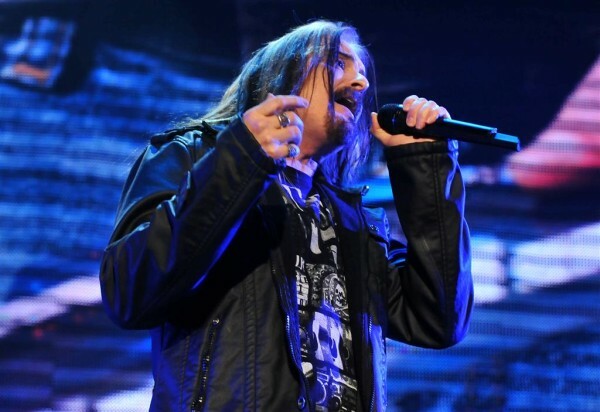 The show of Dream Theater was divided in two parts with a break in the middle. Off course the band opening with tracks from their album “Dream Theater”. A huge screen behind the band and a terrific light show were supporting the mainly instrumental music of this phenomenal band. LaBrie obviously had plenty of time during and in between songs to catch his breath and give his poor vocal chords a break, but his performance was quite okay and he got the hall moving, waving, clapping and singing along in no time. On the big screen there were shots from the individual members of the band, but also abstract images, cartoons Although I am a fan of melodic hard rock my main interest has always been progressive music. Therefore the first half of the show appealed to me far more than the second half because the music in the second part was much heavier with the exception of the Kevin Moore composition Space-Dye Vest, a somewhat strange choice in my opinion. The number of decibels was a bit too high for my taste even though I’ve lost part of hearing, I should have worn ear plugs which is rarely necessary in the Heineken Music Hall because of its superb acoustics…. Since Portnoy parted ways with Dream Theater, there’s a predictable set list, so there were no surprises, which I think is a pity. Surely it has certain advantages to play the same set every evening because of the programming of the images on the screen as well as the fact it makes the life of the light tech much easier. 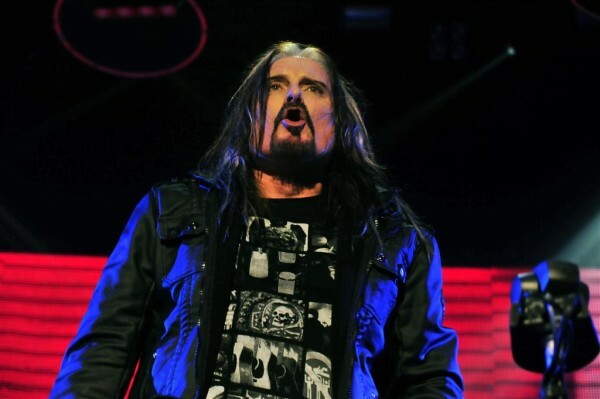 LaBrie pointed out that the band wasn’t just promoting their eponymous album, but Dream Theater were celebrating the 20th anniversary of the album Awake and the 15th anniversary of the album Metropolis part II and therefore would be playing some tracks of those albums as well. Making faces behind his huge drum kit it appeared Mike Mangini had a great time and without a shadow of a doubt the interaction on stage was more intensive and more frivolous than a number of years ago. 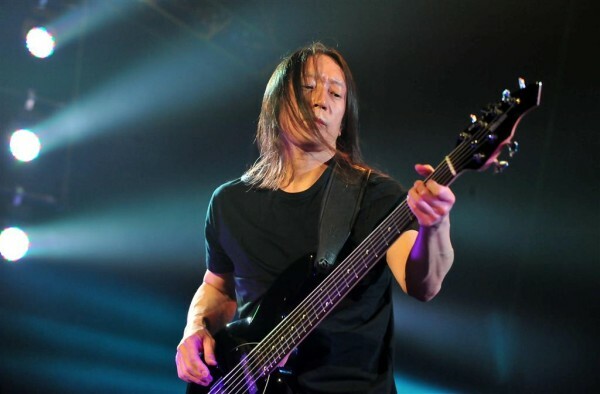 John Myung was hanging out near the drumkit much more than in the older days and although his performance was characterized by modesty, it’s unbelievable what a superb level of craftsmanship he laid down playing his 6-string bass. While Rudess and Petrucci were duelling a lot, one mustn’t forget that in many of the ultra fast loops these two were playing, John Myung was playing along as if he were a lead guitarist too, really amazing. 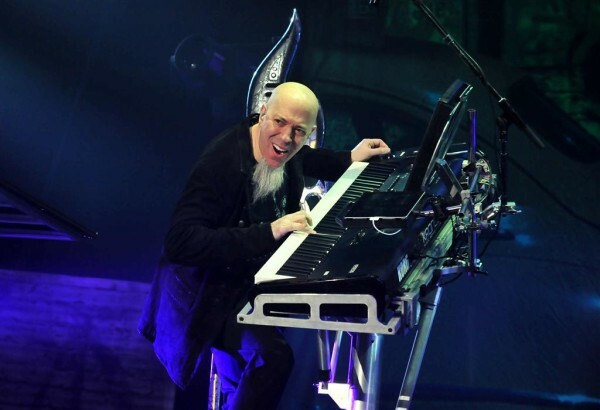 Rudess was mainly using his big Korg Kronos which he could tilt towards the audience. He also played the Haken continuum and his specially shaped keytar. 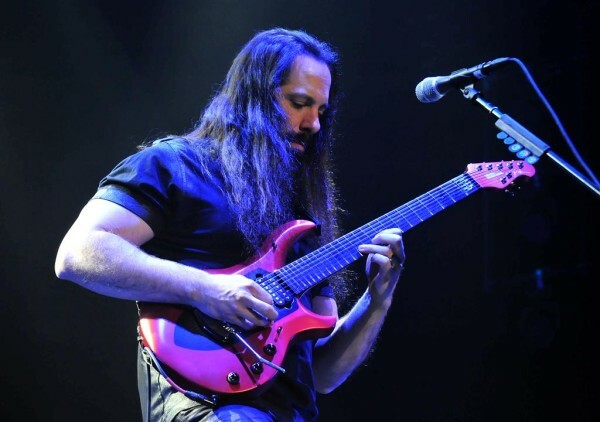 Petrucci was using his 7 string guitar and without a doubt he demonstrated once more that he is one of the best guitarists on the planet as far as rock music is concerned. Mangini obviously seems to make a difference as far as the atmosphere in the band is concerned, but from the point of view of a fan I must admit I like Portnoy’s drumming more. Not only because he is more of a showman but also because his drumming seems to be more original to me and his breaks and fills appeal to me more. Critics always used to say his way of playing drums is too loud and that he’s constantly trying to play too many notes. In my humble opinion, if the overall sound and balance are right, I prefer Portnoy’s drumming to Mangini’s. Having said that, Dream Theater are still on the top of their game and as far as I’m concerned the inventors of prog-metal are still outclassing all other acts in the genre. Anyway, when Dream Theater finished their last encore they left an audience in ecstasy and with a recently released solo album of James La Brie and an upcoming album by Joprdan Rudess, creativity seems to be flowing quite well. All the fans in The Netherlands will be eagerly awaiting their next show. Please call again!